It doesn’t matter if you are a car guy or not, its really hard to walk by a true muscle car work of art and not bask in its glory. Muscle cars have always been popular amongst car enthusiasts. Muscle cars can be dated back to the bell-bottom and hip hugger generation. However, it is true that these types of cars have greatly changed over the years. Anyone could probably go on all day talking about the differences of the engines in any models. You could talk about the engines that produce the most horsepower, you could talk about environmentally friendly options and you could even talk about the features that each engine offers. However, when it is all said and done those older models without a doubt sound so much better than a generic modern car. Sure newer models sound good, but you are not going to get that same roar. 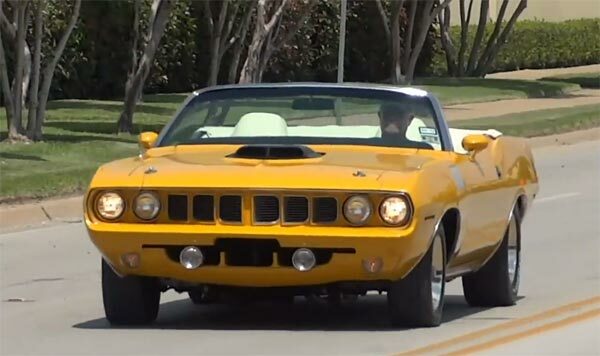 If you have ever heard the roar of a classic muscle car, you will recognize it right away without even seeing the car. Unfortunately, these newer models do not offer that sound and rumble. It is true that the old manufacturers came up with some sleek and unique styles back in the day. And, this is probably why many of the modern muscle cars do have body styles and designs that pay respect to past designs. Whether you are designing a car on https://carvoy.com/ignite or you are rebuilding an old muscle car it is hard to deny that the older styles stand out more. When comparing modern and classic muscle cars the construction is without a doubt one of the biggest differences. Muscle cars back in the day were heavy. When popping the hood of ones of these babies, you could just feel the heft right away. That is not the case with today’s models. Modern muscle cars are so much more lightweight and could never survive a tangle with the old classics. However, it is the lightweight bodies that give the newer models more speed and handling. It is true that things were cheaper back in the day, but there really is a huge price gap when it comes to modern and classic muscles cars. In the days of the classics, you could easily buy yourself a new muscle car for anywhere from two thousand dollars to five thousand dollars. That is no longer the case, as that probably wouldn’t even cover the down payment of a modern muscle car. In fact, most modern muscle cars cost anywhere from thirty thousand to seventy thousand dollars. That being said, if you went to buy a classic muscle car in these times, you would probably have to pay just as much as what you would for a modern muscle car.